While Rogue One: A Star Wars Story was a huge success both critically and financially, there was one part of it that continues to spark controversy and debate amongst fans, even now, months after it hit theatres. 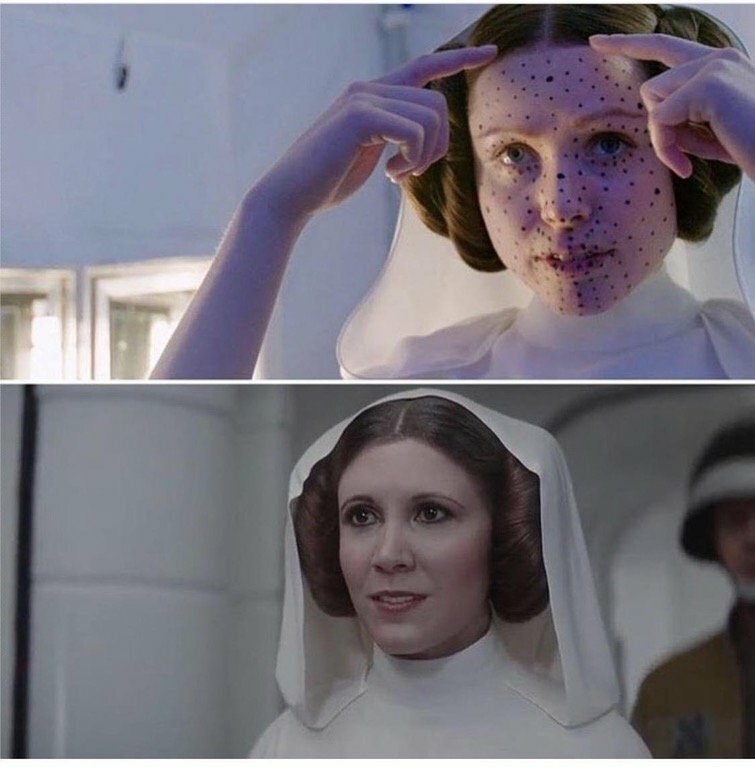 Of course, we’re referring to the fact that Disney chose to recreate Peter Cushing’s Grand Moff Tarkin and Carrie Fisher’s Princess Leia using CGI. 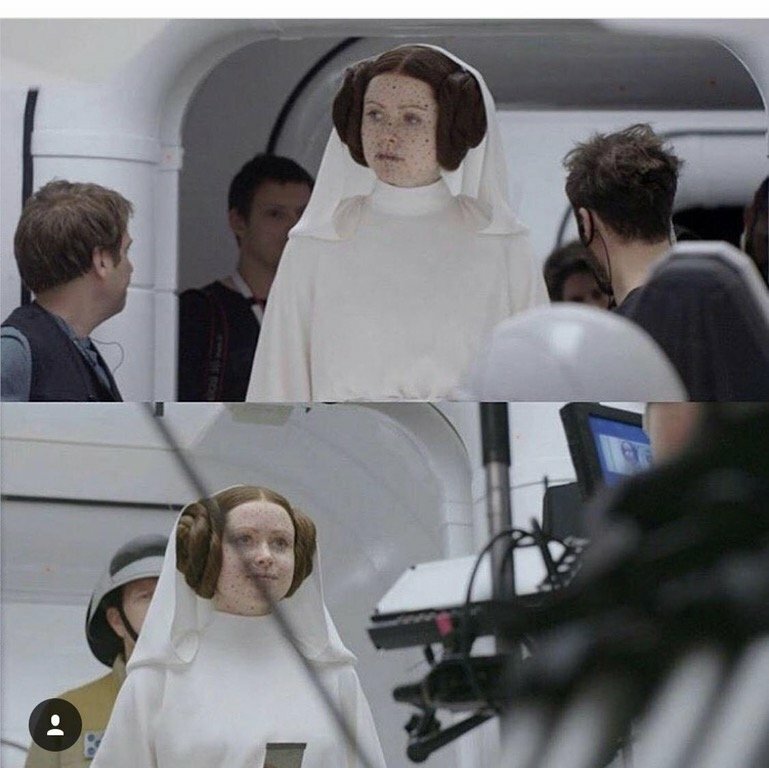 The former caused the most discussion, given that he passed away in 1994, but when Fisher suddenly died just weeks after Rogue One‘s release, her CGI recreation was also put under the spotlight – even though the actress apparently loved her cameo. However you feel about the studio’s decision to include these characters, you’ve got to admit that the team did a fantastic job in bringing them to life and with Gareth Edwards’ spinoff gearing up to hit Blu-ray on April 4th, we’re learning more and more about what went into digitally recreating Tarkin and Leia. While the special features on the disc will reportedly dive further into the process – in fact, one featurette is entirely dedicated to showing how the characters were brought back – some interesting images have appeared online in the meantime, giving us a look at a pre-CGI Leia. In the gallery above, you’ll see Norwegian actress Ingvild Deila, who provided the physical performance, doing some work on set before having her face swapped out for Fisher’s – hence the motion capture sensors seen on her here. While neither photo is terribly revealing, they do provide an interesting look behind the scenes and definitely have us eager to learn more about how the whole thing was accomplished once we pick up the film on Blu-ray next week. The ethics/morals of recreating actors who are no longer with us might be the subject of debate, but there’s no denying that the process behind it is fascinating. Rogue One: A Star Wars Story will be hitting store shelves on April 4th. Do you plan on picking it up? Let us know in the usual place.